On Wednesday, President Trump announced that three Korean-American citizens who were being held captive in North Korea were on their way back to the U.S. along with Secretary of State Mike Pompeo. “We cannot forget: No regime has the right to hold American citizens in captivity without cause, and under no circumstances should American citizens be viewed as bargaining chips,” Schumer said Wednesday on the Senate floor. “If countries in the world think they can detain Americans and get something in return, we’ll see many more hostages,” he said. 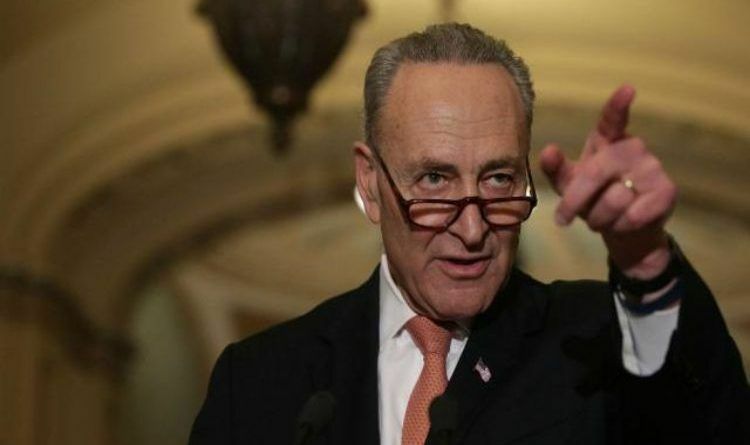 As I see it from here, Chuck Schumer is just jealous and more nonsense comes out of his mouth each time Trump does something wonderful for America. But, his tactic does not work anymore. We already know that Democrats hate the fact that the CIA nominee is tough on terrorists. Also, Democrats hate the fact that 3 Americans were released from North Korea. Boy, the midterms are going to be fun to watch. The Woman Who Banned All Muslims From Her Business Will Run For Governor!